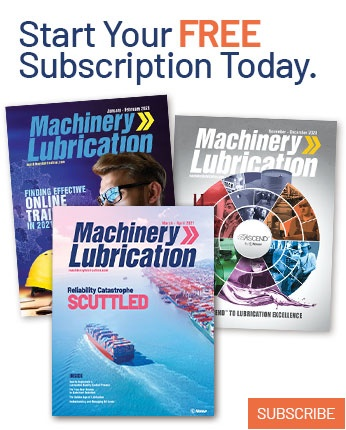 "Is there a way to estimate the amount of time required for the ongoing administration of lubrication management software for any given amount of equipment in a system? I have seen many references for lubrication management software that describe the software without any indication of the actual time required for the administrative aspects of lubrication management." 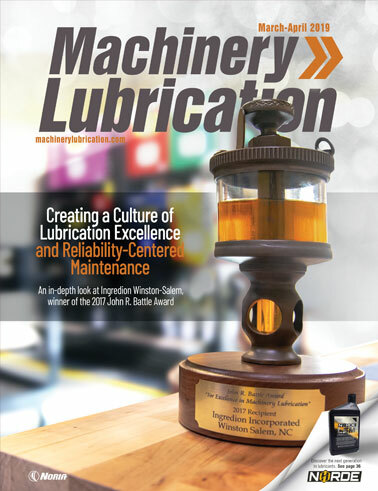 The overall intent of lubrication management software is to tackle three main objectives: increase employee productivity, store lubrication-related activities for reference and cut costs associated with downtime due to equipment failure. In an ideal world, software could take over the managing duties of the intended tasks. However, even if such a program was available, someone would be needed to champion the success. This person not only should oversee the program’s administration but also ensure that the program never falls off its intended path. At the onset of a newly designed lubrication program, time must be dedicated to development and implementation. As the program matures, the individual in charge of its administration will be less and less involved, especially as he or she becomes more familiar with its particulars. Lubrication management software increases employee productivity by providing work requests and eliminating doubt regarding the required tasks. This enables several tasks to be performed concurrently and consecutively as time allows but does not remove the need for improvement and supervision of the program. Lubrication management software is also an effective method of storing lubrication-related activities for reference. This helps to reduce the amount of time required to track down a particular machine’s lubrication requirements or having to depend on the knowledge of veteran employees. Housing this information openly and orderly not only is a time-saver but also an insurance policy. The percentage of machine failures due to human error is quite high. These errors involve things such as missed scheduled tasks, incorrect lubricants selected, etc. These are the exact types of activities that a lubrication management program aims to organize. By closely following a program like this, a reduction in downtime caused by equipment failure is almost guaranteed. Keep in mind that the more time you invest in the program, the more you will gain in return. Of course, the amount of time is not nearly as important as the quality of the time invested. Ultimately, success depends on the user’s understanding of the newly implemented process and becoming a true champion of the program.